Solo cruises allow you to enjoy an enriching holiday without having to incur any additional supplements for being on your own. You will be able to meet new, like-minded people who may also be travelling alone, whilst being able to take part in events designed to get everyone mingling together. 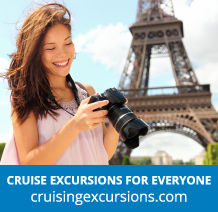 Cruising is such a great option for solo travellers and can often mean that you get to enjoy a holiday that is perfect for you and that comes at great value. Our wide range of river cruises may also appeal to anyone travelling alone. Take a look at the options available and book your adventure today.